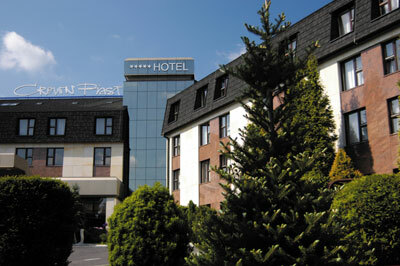 The Crown Piast Hotel & Park is a modern functional hotel, comfortably located not far from city centre and the airport (ca. 10 minutes), near the exit from the motorway, with a guarded car park both for passenger cars and buses. 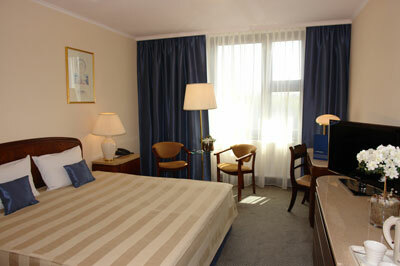 Guests can choose among 160 comfortable and air conditioned single and double rooms. 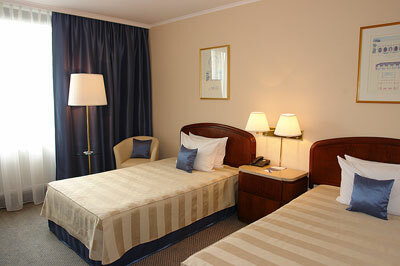 Extra beds are available in each room. 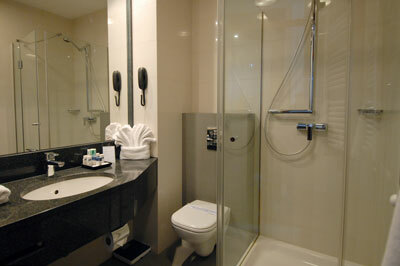 Guests will enjoy amenities of a bathroom with shower, satellite TV, radio, telephone, Internet access, safe deposit box, and mini-bar. 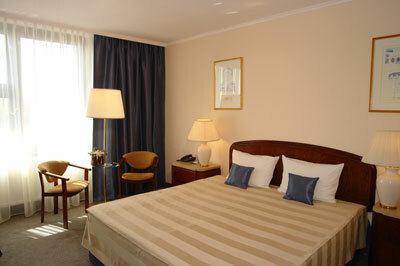 The hotel also provides the rooms with special facilities for the disabled. 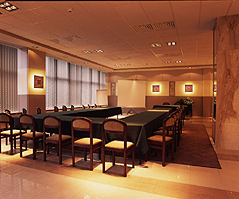 The rich conference equipment causes that the Crown Piast Hotel is the perfect place for business meetings, conferences, seminars and training sessions for 10-300 people. 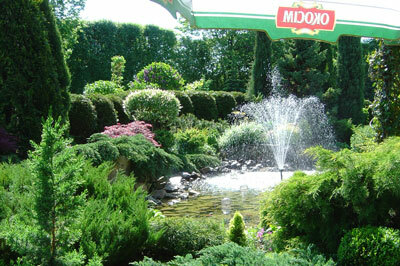 The Crown Piast Hotel & Park is located in one of the most beautiful gardens in Krakow . 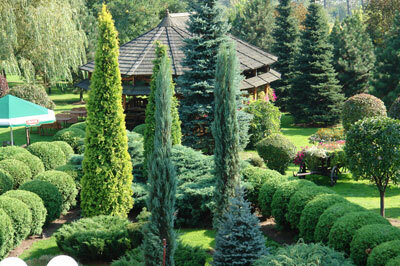 Guests enjoy folk evenings, concerts and outdoor festivities organized in the hotel’s tavern. 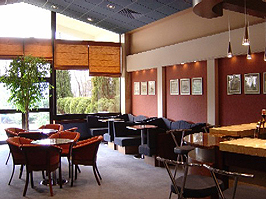 In the air conditioned restaurant guests will savor a wide selection of exquisite dishes of the Polish and international cuisine in an elegant and comfortable interior. 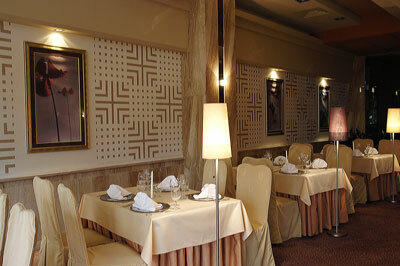 The restaurant also offers distinguished wines and aperitifs. The hotel’s pastry shop makes delicious desserts and cakes. 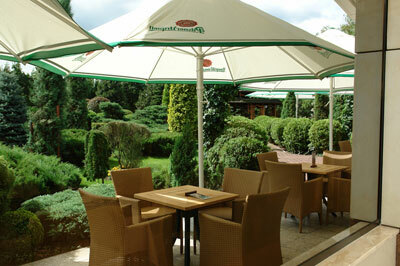 The restaurant overlooking a beautiful garden is an ideal place for all kinds of meetings. There is also a tavern where guests can have a beer or two. 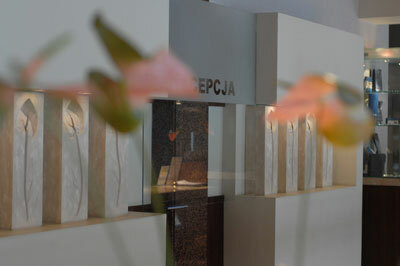 After a hard day’s work, the hotel invites guests to the Health and Beauty Centre in order to regenerate and relax. 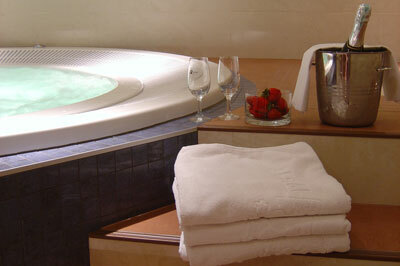 Fitness center, sauna, Jacuzzi, tennis courts, bicycles, massage service will allow guests to regain strength. 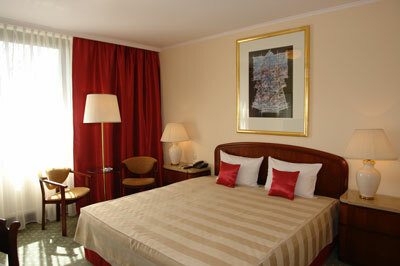 Comfortable rooms, excellent cuisine, high quality service and friendly atmosphere and traditional Polish hospitality guarantee unforgettable stay. Feel invited to the hotel! 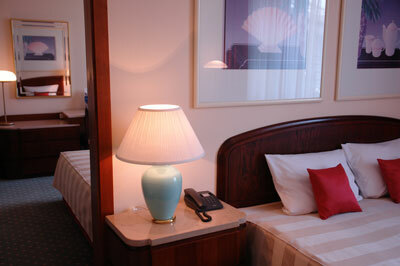 From 18.02.2010 the local tax is 1.60 PLN per person per day for stays over 1 night. 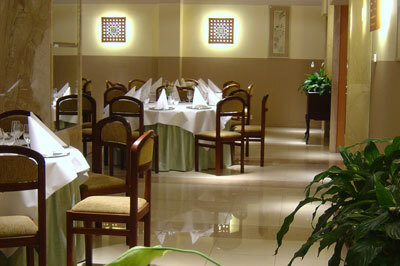 We offer a restaurant, cafe-drink bar, grill bar and a summer beer house. 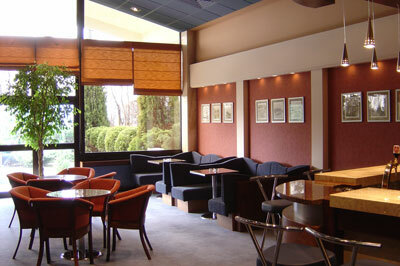 Our restaurant serves the best of Polish and international cuisine in a warm atmosphere and with excellent service. 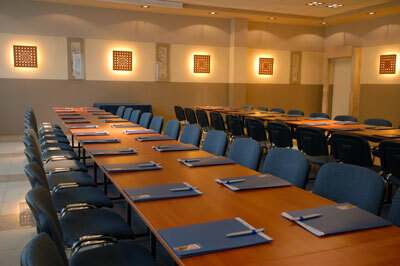 8 conference rooms equipped with air-conditioning, overhead-, slide-, computer projectors, wireless microphone, A/V modern equipment, printer, photocopier, PC with internet access, fax, and more. 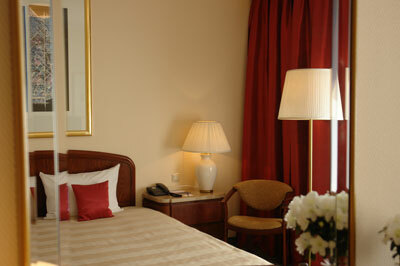 Experienced in the organization of all kind of events, the technical staff is always ready to serve you. 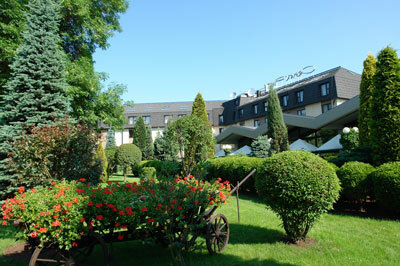 The Crown Piast Hotel & Park is located on the A-4 route, which guarantees simple access from Katowice and Warsaw (E-40 route). 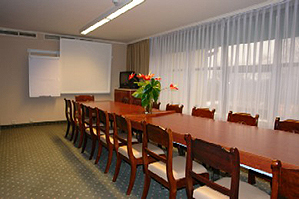 Not far distant location from the city center and the airport (about 10 minutes by car), safe car park and good communiction access enable favourable location for the guests. 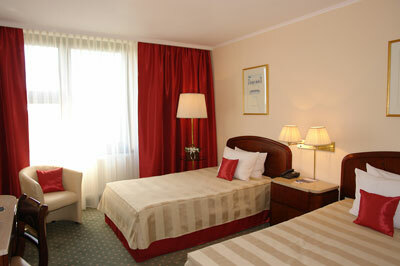 The Crown Piast Hotel & Park can be reached from the main railway and bus station by bus no 130. 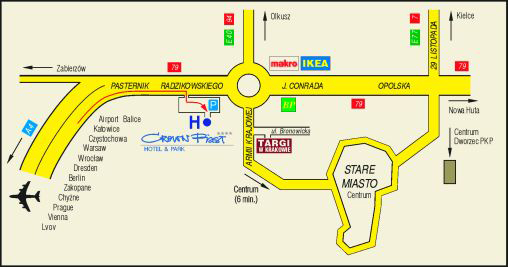 You should go to the loop at the housing "Azory" , then take the next bus no 173 - to get off on the second bus stop by the roundabout of Katyn victims. The tram 4, 13 to get off on Balicka viaduct- going for Macro and the roundabout of Katyn victims. A 208 + 1 stop A 173 or 172 - to get off on the first bus stop - roundabout of Katyn victims.